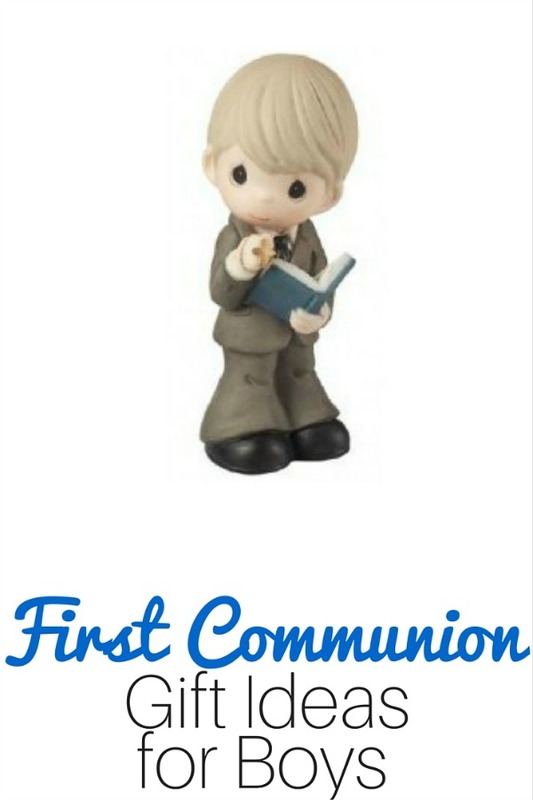 Need a First Communion Gift? Precious Moments are Perfect! - The Kennedy Adventures! 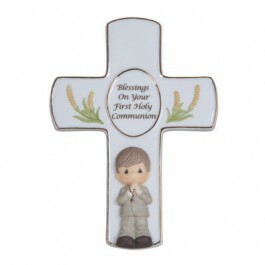 You are here: Home / Being Catholic / Need a First Communion Gift? Precious Moments are Perfect! After Lent wraps up and brings us Easter, First Communion season begins. We were blessed to attend our godson’s First Eucharist last weekend. It’s so heartwarming to watch these sweet children prepare to receive the Eucharist for the first time. Father Schooner made me cry when he reminded us that we should be that excited each and every time we approach Our Lord. After the First Communion Mass, it’s customary to celebrate and bring gifts. Traditional ideas include religious items, rosaries, Bibles, Catholic books and more. We usually choose a Rosary, in the child’s favorite colors. We also like to find out a favorite saint and include a book or item like a medal or charm. 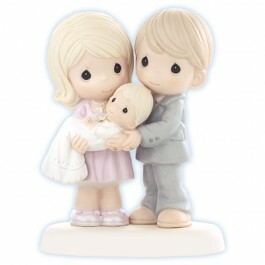 This spring, we added in a new idea — a Precious Moments figurine. I’ve enjoyed Precious Moments figurines for years. I have a nurse, a pregnant momma and a couple with a new baby tucked away in the attic, far away from exuberant hands. I’ll display them again in a few years, when the littles can be a bit more careful. Last year, Rachel received this sweet figurine from her godmother, and was thrilled. “Look, Mom! She even has blonde hair — just like me!” It’s a sweet reminder of her special day. This year, we chose this figure for our godson Channing. He’s absolutely adorable, and even has blonde hair like our godson. 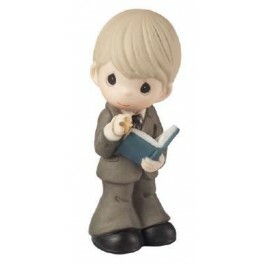 My twin boys (who will make their First Communion next year) have already requested the same figurine for themselves. The Rosary boxes are a great gift, and I also found these ideas for young women. Confirmed in the Faith is adorable. 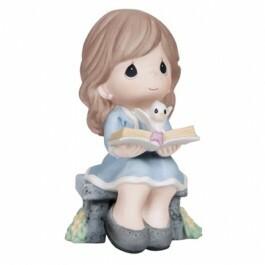 It’s available in a figurine, as well as a music box and wall hanging. 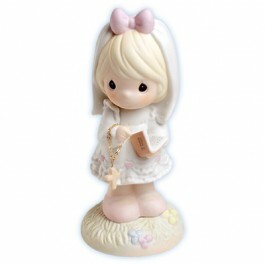 We have this sweet figurine, and it’s perfect for a Baptism gift. For our Protestant friends, it’s also appropriate for an infant dedication. What about you? 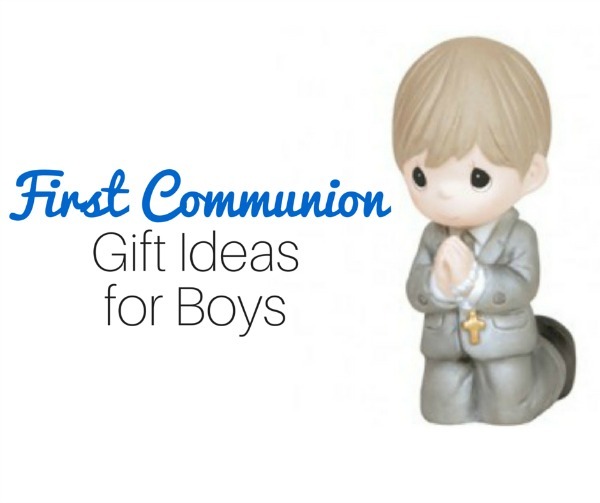 What have you given or received as gifts for First Communion? I’d love to hear your ideas. Disclaimer: We received this product for review purposes. All opinions are my own — we’ve enjoyed Precious Moments products for years.